Forest Hills is a quiet, residential neighborhood in the northwest quadrant of Washington, DC . The community is sometimes referred to as Van Ness because of its proximity to the University of the District of Columbia Van Ness campus. In addition to the university, Forest Hills is also home to the Hillwood Museum and Gardens as well as the Levine School of Music. Forest Hills is particularly alluring to home buyers because of its stock of high-end homes on large lots. Properties range from estate-style homes to brick colonials to expanded Tudors. 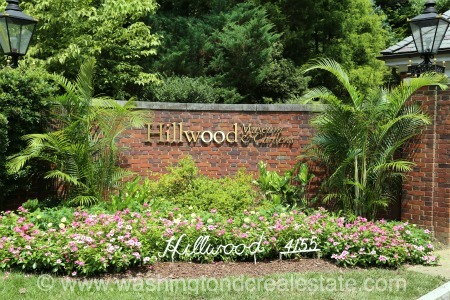 Forest Hills has also been recognized as the DC “Modern Homes Capital” and offers several homes designed in this style. For empty nesters and renters, Connecticut Avenue offers a supply of condos and coops. Forest Hills is bounded from Broad Branch Road to the north, Rock Creek Park to the east, Tilden Street to the south and Connecticut Avenue to the west. The community is served by the Van Ness-UDC Metro Station on the red line.